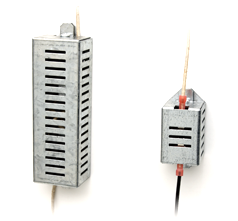 Heater and thermostat come equipped with mounting magnets, no mounting hardware is required. Thermostat turns heater on at approximately 40°F (4°C) and off at 55°F (12°C). Allows the 1802-EPD Telephone Entry System LCD display to maintain normal operation to approximately -20°F (-29°C). Includes a built-in thermostat that automatically turns the heater on when the temperature drops below 40°F (4°C). Also for use with 1812 flush mount units. Designed for the 1812 model telephone intercom systems. For climates where temperatures routinely drop below 40°F (4°C). An automatic thermostat will control temperature inside the housing. Use this heater kit with the following models: 6050, 6100, 6300, 9000, 9024*, 9050, 9100, 9150, 9310. 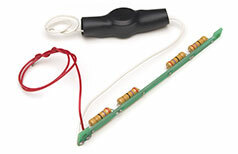 Use this heater kit with the following model: 9210. Use this heater kit with the following models: 6300, 6500, 6524*, 6550, 9000, 9024*, 9150, 9210, 9220, 9230, 9235, 9240. Use this heater kit with the following models: 9000, 9150, 6300, 6500, 6550. Use this heater kit with the following models: 1601, 1602, 1603. Use this heater kit with the following models: 1601, 1602, 1603. 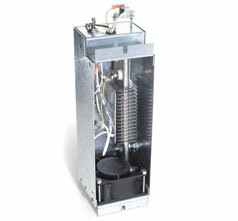 Use this heater kit with the following models: 6500, 6524, 6550.